Stag 15L M-LOK Pistol Upper 5.56 7.5"
Submitted 10 months 4 weeks ago by torture_tester. 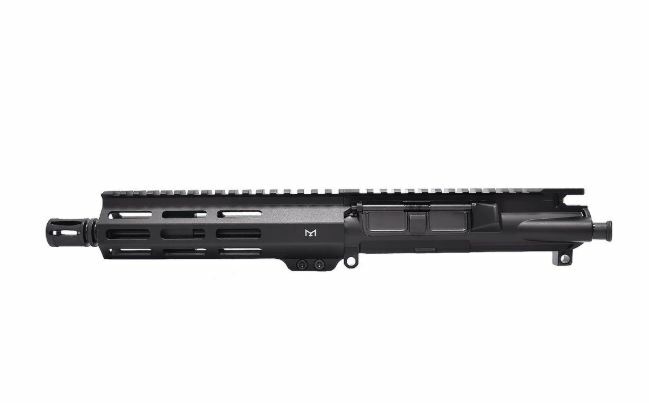 Description Chambered in 5.56 NATO, the Stag Arms Left-Handed AR Pistol Upper Half is a Mil-Spec AR Upper built around a 7.5" 1/7 twist barrel with a pistol length gas system and a low profile gas block. The 4150 Chrome Moly Vanadium Steel barrels are QPQ treated for advanced case hardening that increases corrosion resistance and increases accuracy potential. The 7" M-LOK Free-Float Handguard provides increased airflow, ergonomics and modularity. This complete upper does not include BCG or Charging Handle. All NFA/ATF Rules Apply You may use this barrel with a lower receiver that is a Registered SBR, Machine Gun, or Pistol. Possession of this barrel along with a Non-NFA lower receiver is Prohibited, except when installed on a Pistol configuration firearm.